$190.00 This item is selling for $190.00 on eBay. 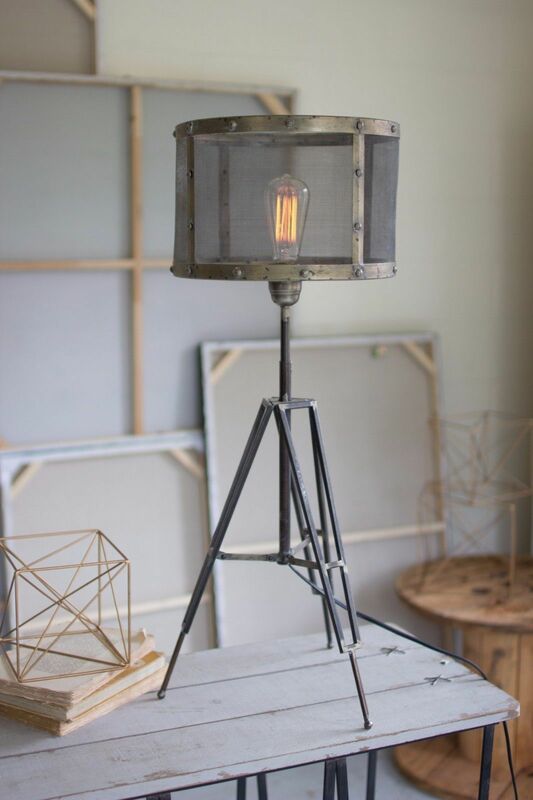 AWESOME INDUSTRIAL STYLE TRIPOD TABLE LAMP WITH WIRE MESH SHADE. BRAND NEW. NICE ADDITION FOR YOUR CHIC HOME. IT MEASURES,12'' X 36''H. THANKS FOR LOOKING!